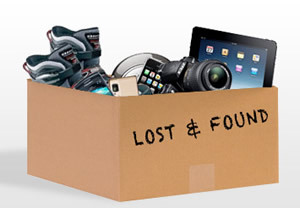 If you do believe that you have lost an item at Kahului Airport, please get in touch with one of our following ‘Lost and Found’ departments to see if the property has been found or not. Try to get in touch with us as soon as you realize that your property is missing and be prepared to give a number of specific details on the property to ensure its safe return. If you have lost an item in your possession within the terminal, then you can get in touch with our Lost & Found Department directly. You can find us on the ground level of the terminal located close to the Airport Manager’s Office. Opening Hours: Monday to Friday: 7:30 AM to 4PM. We are closed on Saturdays and Sundays. Please be prepared to give us a description of your lost property to ensure its safe return. If you find lost property then you can either bring it to us directly on the ground floor of the terminal during office hours or hand the item to a member of our security team at Kahului Airport. Please do not approach unattended bags, instead notify the nearest security team member of their presence. Please note that we will only hold lost property in our Lost and Found Office for a maximum of 45 days. Any longer than this and the property will be disposed of. If you lose your property at a security checkpoint, then you will need to contact the TSA on +1 (808) 872-0235. Please bear in mind that any lost property will only be kept for a short period of time. If you discover lost property at a security checkpoint then please hand it into one of the security team members who will be on hand to assist you. Please note that we are unable to deal with any lost property left behind on an aircraft. If you believe that you have left property behind on one of the planes that depart from our airport, then you will need to get in touch with the airline directly. We are also unable to deal with any ‘lost baggage’ claims which are the responsibility of the airline.